Are You Eligible for an Expungement in Charlotte? ?What defenses could I have after being arrested for shoplifting? ?What are assault with a deadly weapons charges that I could face in North Carolina? Whether you are only charged with a crime or have been convicted of a crime, having a criminal record in Charlotte, North Carolina means significant consequences beyond those associated with the criminal justice system. Simply put, while a criminal record may mean punishment in the form of fines, probation, and jail time, there are other ways a criminal record can negatively impact your life that is largely outside the control of the criminal justice system. That is, in addition to fines, probation, and jail time, a criminal record can often be a barrier to things such as gainful employment, affordable housing, professional licensing, voting rights, welfare benefits, student loans, jury duty, and immigration status. What is an Expungement in Charlotte, North Carolina? In Charlotte, you may be able to avoid the collateral consequences mentioned above by having your criminal record expunged. This process is legally referred to as an expunction, but is more commonly known as an expungement. From a practical standpoint, both mean the same thing. If you are granted an expungement, a court order will be entered ordering law enforcement to erase or destroy your criminal record. Specifically, North Carolina’s law makes it clear that the purpose of an expungement is to clear your public record of any arrest, criminal charge, or criminal conviction. How Can Hiring a Charlotte Expungement Attorney Benefit You? You do not have to reference any arrest, criminal charge, or criminal conviction that was expunged. A records check of your criminal record will not disclose any arrest, criminal charge, or criminal conviction that was expunged. You cannot be held responsible for perjury, or otherwise giving a false statement, by not acknowledging an arrest, criminal charge, or criminal conviction that was expunged. It is important to note that there are rare exceptions to the expungement benefits highlighted above. To read more about these exceptions, check out North Carolina G.S. 15A-153(c). Who Qualifies for an Expungement in Charlotte? While you now have an idea of what an expungement is and how it may benefit you, let’s look at who qualifies for an expungement. While people often think that having an arrest, criminal charge, or criminal conviction expunged is an absolute right, the truth is that criminal records eligible for expungement in Charlotte, North Carolina are relatively rare. In fact, to be eligible for an expunction you must meet the requirements listed under the statute applicable to your scenario. Below are the various statutes that address expungements in Charlotte. You do not have any subsequent felony convictions, or misdemeanor convictions other than a traffic violation, within the two-year waiting period. That no restitution orders, or civil judgments representing amounts ordered for restitution, entered against you are outstanding. Verified affidavits of two people who are not related to you, or to each other, who know your character and reputation in the community where you live, and that character and reputation is good. You were less than 22 years old at the time of the offense. That you have not been convicted of any felony, or misdemeanor other than a traffic violation. You have not previously had a conviction expunged under 15A-145.2(c). You have not previously had a conviction expunged under 15A-145.3(c). You do not have any subsequent felony convictions, or misdemeanor convictions other than a traffic violation, within the four-year waiting period. You have not previously been granted an expungement. That you have a high school diploma or GED. 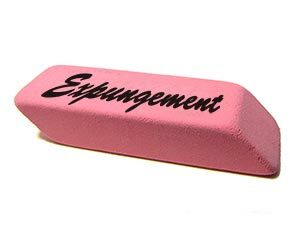 You have not previously been granted an expungement under 15A-145, 15A-145.1, 15A-145.2, 15A-145.3, 15A-145.4, or 15A-145.5. Note: Violent felony or violent misdemeanor includes any Class A through G felony or Class A1 misdemeanor where assault is included as an essential element of the offense. You have no restitution orders, or civil judgments representing amounts ordered for restitution, entered against you outstanding. The conviction was set aside. As mentioned above, the expungement process varies depending on the charge. To discuss pursuing an expungement of your case, contact Browning & Long today at 980-224-4482 to set up a free consultation.